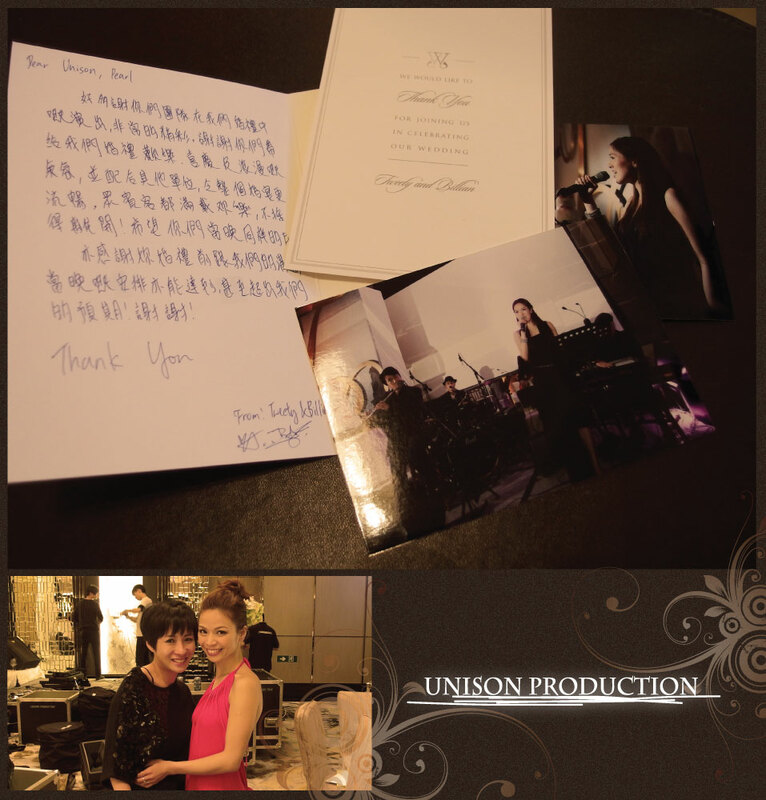 Tweety and Billian's thank you card | UNISON PRODUCTION - Enjoy the music like we do.. Thanks so much , Tweety and Billian!!! 好高興收到您們的Thank you card and picture, 多謝您們的信任, 讓我們當晚的表現可以盡情發揮!!! 還記得大家當晚玩得不亦樂乎, 台上台下打成一遍, 我們與各婚禮單位也合作得天衣無縫!! 非常喜歡這幾張照片, 真係影得好靚!!! Thanks Simon soooo much !! !